Whether used for walks in the park or for school, backpacks are a popular choice for children who need to store all their essentials in one place and have easy access to them. So, if you haven’t yet decided on the next thoughtful gifts for kids, backpacks could be just right what you need. However, keep in mind that children are mainly attracted to cool, funky, and colorful designs, rather than the size and the functionality of a backpack. So here are some items we think are worth mentioning. This backpack is specifically designed to meet the needs of preschool children and features a cool and unique unicorn-hippo design. It is brightly colored in tones of white, purple, pink, yellow, and blue, and is the perfect size to help store all your kid’s essentials. The adjustable and comfortable shoulder straps will ensure the item fits the height of your own kid and that it won’t provide back pains in the future. Also, the product is made of durable materials and features a mesh pocket on the side which is large enough to hold a juice box or a water bottle. The backpack is available in five different prints and represents a great gift for little boys. It is made of thick 600 den polyester fibers to ensure a sturdy design that won’t break, bend or change its shape after a couple of uses. The waterproof coat will keep all your kid’s belongings safe from heavy rains or storms. Also, the item was custom-made to meet the needs of young boys. It’s large enough to store all school books and your child’s favorite snack. What we also liked is that this backpack is easy to clean using a damp cloth and warm water. Clear all the spots and stains using mild detergents and leave it until it’s completely dry. This cool backpack from Amazon’s very own product line is available in numerous colors, including a beautiful blue aqua shade that is perfect for boys and girls. It’s durable and lightweight so you can carry all your essentials with you no matter where you go. The adjustable padded shoulder straps ensure a comfortable fit according to your own height to avoid back and neck problems. The backpack features a large interior compartment with a double-zipper closure for extra safety and a smaller pocket on the exterior with zip closure. Also, the side pocket is made of the same sturdy material and is perfect for holding your water bottle. This adorable little backpack is perfect for princesses and fairies. It comes with a beautiful sleeping unicorn design and is lovely decorated in shades of blush pink, purple, and turquoise. The 3D details certainly represent the centerpiece of this beautiful rucksack. The product comes with cushioned adjustable straps to ensure a comfortable carrying without causing back or neck problems, regardless of your little girl’s height. It is made of a durable and reliable material with a waterproof coating to keep all your daughter’s belongings safe even during the rainy season. It’s perfect for carrying the books and notebooks to school and comes with a side storage pocket made of mesh to hold the water bottle or juice can. If your kid is fascinated by robots, what better way to trigger his or her curiosity if not by some new and inventive kids’ games and accessories? This little backpack from JJ Cole is perfect for toddlers and is specifically designed to meet their needs. It’s made of top-quality polyester on the outside and a polyester foam filling on the interior to give a padded and comfortable design. The roomy interior is suitable to carry your kid’s belongings, including coloring books, crayons, and a sweater. We really liked that it comes with a reflective patch for extra safety. This cute backpack is available in four different colors and patterns to match the needs and desires of your daughter. The pink one features decorative elements all over the front, including embellished graphics with “GRL PWR” message. It’s made of reliable polyurethane to mimic the look of leather and is suitable for schoolgirls and teenagers. The product comes with a standard interior large pocket with a zipper closure for safety that is roomy enough to keep your books, notebooks, and school supplies. There is another small zippered exterior pocket to hold your belongings, including keys and phone. Step into the fascinating world of animals and insects with these amazing 3D decorated backpacks from Stephen Joseph. There are numerous designs to choose between, including bee, butterfly, girl horse, frog, fox, ladybug or owl. The product is made of 100% durable and reliable polyester that will keep all your child’s belongings safe no matter the weather outside. The cushioned adjustable shoulder straps provide a comfortable carrying according to your kid’s height, diminishing the risk of back or neck aches. The contrast color exterior small pocket is suitable for keeping pens or crayons, while the side mesh pocket is the perfect size to hold the water bottle. If your kid is passionate about the Star Wars universe, this particular item will certainly become a great addition. It closely follows the pattern of the fictional starship Millennium Falcon, while still being a fully functional backpack. It’s made of sturdy polyester and comes in a black and white design, which means it can be matched with all sorts of clothes and shoes, whether you’re a girl or a boy. The backpack is large enough to fit school files, books, and notebooks, so it’s perfect for smaller children and teenagers too. The adjustable padded straps help you comfortably wear the backpack without adding extra pressure on your back or shoulders. This fun little backpack for children from Stephen Joseph features a colorful and attractive shark design, specifically made for little boys. The magnetic snap and drawstring closure on top will keep all your child’s belongings safe and allows him to easily open the content in a few seconds. Also, the quilted interior offers increased protection against shocks, drops or harsh weather conditions. The product is made of 100% cotton, which is breathable and safe to wear without causing allergies or skin rashes. It’s machine washable so you can clean it in a few minutes whenever it gets stained, spotted or dirty. This item comes in a lime, blue, and gray design, which makes it more suitable for little boys and teenagers. It features a main storage compartment that is large enough to fit school files and other specific school supplies, including books, notebooks, pens, and even a 13-inch laptop. The main compartment also comes with a double-zipper closure, while the small exterior pocket can also be closed with the help of a single zipper. The side pockets with strong Velcro closures are perfect for holding water bottles, juice cans, and even snacks or small lunch boxes. These days, the market seems to be overflowing with some of the best kids backpacks, which is why you might feel a bit baffled as to which model you should spend your cents on. Some come with various features and extras, most of which increase ease of use. However, not all products are created equal, which is why some of these extra accessories or gadgets might not necessarily speak to the needs of the child. It goes without saying that the design of the item should also be taken into account, especially as we’re addressing a product primarily designed for children. They surely want to make an impression at kindergarten or school or just want to feel proud that they have a new eye-catching backpack that they can wear as often as possible. A good backpack for a kid is that which makes them comfortable. Try to explain to the child that they aren’t supposed to carry all of their belongings in the backpack. On the one hand, this practice will make the item less durable in the long run. On the other, it will take a toll on the kid’s posture and even cause back and shoulder aches. In the market for the best backpacks for kids? If you have no idea how you should go about things, we suggest taking several minutes to read the following buyer’s guide. 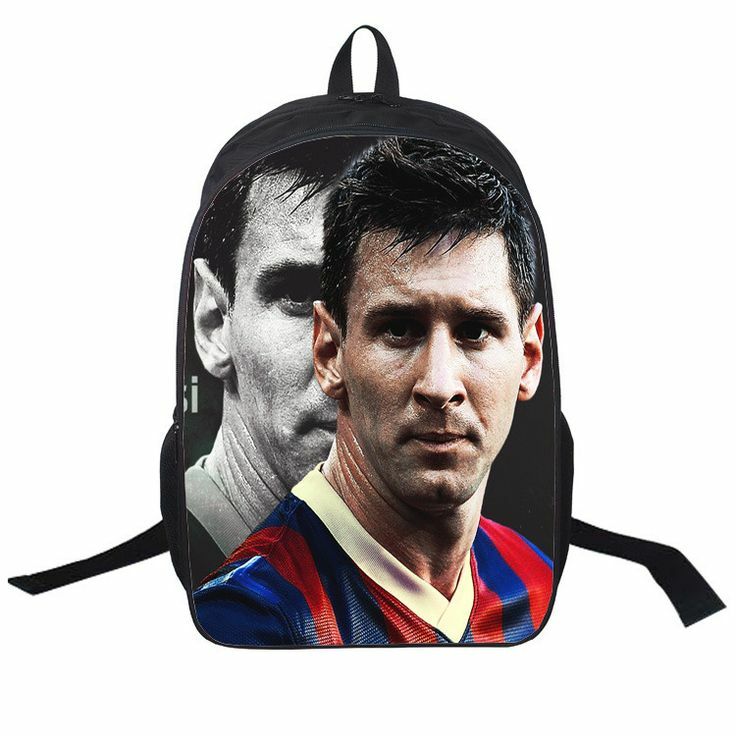 Keep in mind that you’re not searching for teenage backpacks, and that mention has to be made right from the beginning as these youngsters have a partially developed bone and muscle system that enables them to carry heavier items. For more information on how to select the perfect option, keep on reading. 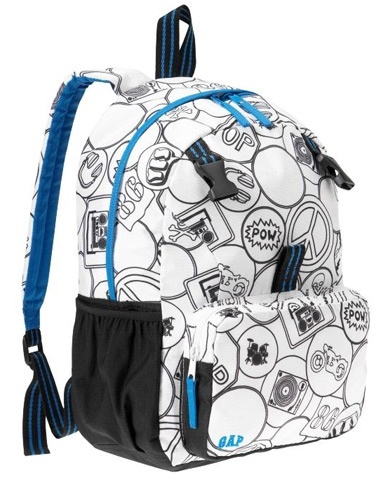 Mani kids backpacks reviews recommend looking at the size of the product before anything else. You certainly don’t want to get a too large item for a tiny child. However, this situation wouldn’t be a disaster given that the kid will grow. Nonetheless, they might grow out of loving a particular Disney or Marvel character, and then you’re left with a virtually useless backpack. For occasional use, we recommend small models as they are convenient, versatile, and easy to carry around. If they are made of a light material, they won’t hang heavy on the kid’s shoulders, therefore allowing them to feel at ease. On the one hand, you want the new student backpack to be lightweight; yet, on the other, you need to see whether it will withstand the test of time. As we have mentioned above, the chances of the kid wanting to use the same backpack ten years from now are rather slim. Nevertheless, you need to make sure that the item you’re spending your precious pennies on is at least capable of withstanding a decent amount of time, like a year or two. Look at the fabric that it is made of, but also the seams and their reliability. Looks might not be everything, but that’s something that most adults are aware of. When you’re a kid, you’re typically interested in being the coolest one on the block or in the kindergarten yard. Nowadays, there are movies with all sorts of superheroes boasting superpowers, but also others intended for little girls. The point that we are trying to make is that, while a simply designed backpack is a great choice for adults, it might not be so for children. Many kids like colorful things that they can have fun with, so we suggest opting for a funny design or one that comes with one of their favorite characters. From the myriad of products available for sale, you need to select the one that’s truly comfortable for the child it is intended. What this means is that the backpack itself shouldn’t weigh too much so as to avoid adding to the weight of the items that need to be carried. The thickness and padding of the straps is another aspect you ought to consider since if they’re particularly thin or rough, they can hurt the child’s skin. As with any other bag or backpack you may want to purchase, you also have to give some thought to the number of compartments. Usually, the more, the merrier, but this rule doesn’t necessarily apply to this case. Just how many things is the child supposed to carry to and from school? Try to correlate the kid’s requirements, personal tastes, and curriculum to how you want the backpack to be. There’s virtually no point of getting a product that comes with dozens of compartments, as would be the case with hunting backpacks for adults, for instance. These alternatives are way too big and hefty in the first place, so they make poor choices. As for the materials that the unit is made of, the sky’s the limit nowadays. Most manufacturing brands use combinations of fabrics or just synthetic ones. The latter ensures durability, but do come with a series of drawbacks, as well. For example, synthetic fabrics are considerably less breathable compared to their natural counterparts, which is why we recommend going for a product made from cotton and any other artificial fabric. While cotton does a poor job when it comes to ensuring durability, it is breathable and won’t make the backpack stick to the kid’s back when it’s worn on a scorching summer day. In the end, you ought to ask yourself whether getting a high-quality backpack from a renowned brand makes sense. Don’t forget that kids tend to grow up awfully fast, and so it would be counterproductive to go for an option that won’t be used two years from now. Two brands we like are JanSport and L.L.Bean, but many other famous names make backpacks for children, such as Everest, Disney, and many others.